Snorkeling 101: Whalesharks in Donsol! Whale shark is one of my favorite specie, humongous but never harmful it is aptly called as the gentle giants. The chance of an encounter is too rare as they are deep dwellers unless you visit specific identified sites as their stations. Most importantly, the season of their occurrence must be considered. Donsol in Sorsogon is one, and it took me almost four years to push my plan, the desire was too great to ignore. Snorkeling for me is so calming, floating on the waters and watching down the marine life vividly with my mask without holding my breath. No rushing, as I float up vertically or horizontally. 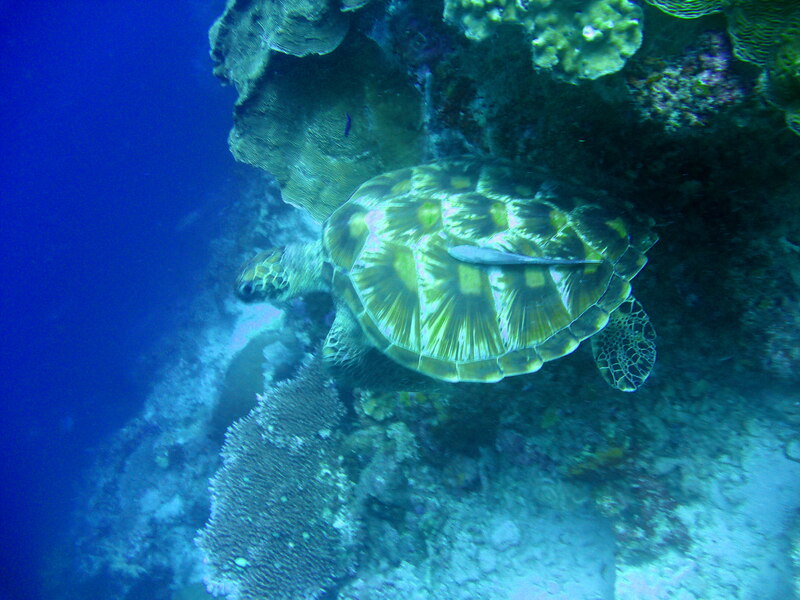 Generally, I found snorkeling to be relaxing, no known pressure – just enjoy the water, the marine life, and the view! After a day of wonderful dives in Legazpi, I was still in high spirits for another water adventure the next day. Angel joined me in this tryst again, the drive was smooth but we arrived past 7am already at the Tourism Center. It was fortunate, Pacific Blue referred me to a Butanding Interaction Officer (BIO) and I believe he was a good find. It was already past 10am, when our boat left for the search and I wondered what took us long. We were joined with four foreign nationals – three gals and a guy – we were a bunch! 😛 I guess the Tourism Office joined us with good swimmers, as we signed up as diver & swimmer, so the long wait! We head for the open sea and indeed, there were many boats already when we got there. All boats roaming the area, some people floating on the waters. I was thinking if the whalesharks would ever appear with all those turbulence! We keep roaming for over an hour and everybody got bored already, until our spotter signaled and our BIO motioned to prepare. The instruction was if he shouts Rock n Roll!, we must all jump to the water with the boat still moving! Fine, but my concern was, what if I get to the machine propeller as I swim! We all lined up sitting side-by-side at the bow preparing for the jump and adventure. Well, we had four jumps during the three-hour search! The first sighting was ecstatic – at first I swam so fast when the BIO told us to look down, there it was – a humongous fish moving in grace. Directly over it about five meters, I swam and followed her until it disappeared. It was amazing! Everybody was thrilled. The second one was real big, about 10 meters. Swam directly over her in whole stretch, it was another fining vigorously fast. It wasn’t long when it outdone my race, but I watch it again with pure admiration. 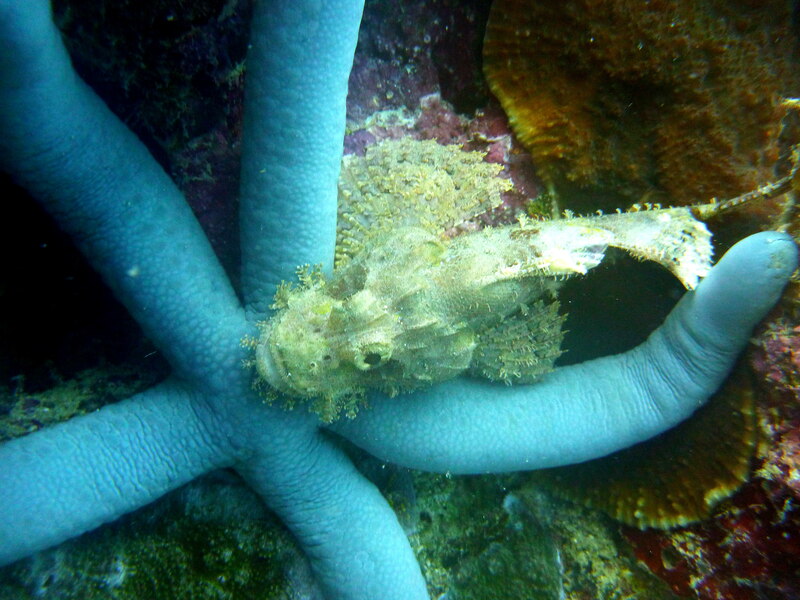 The BIO called her “Kulot” due to its curly dorsal fin. Next was a smaller one, at first I had her side view and saw her opening her wide mouth! Then swam with it again viewing it in full stretch. Indeed, snorkeling with the butandings requires agility and endurance and some sort of reckless abandon. When I did my jumps, I forgot about safety and finned with all my strength to swim fast not knowing the exact direction! Finding the butanding and watching its splendor, I wanted to stop and just gaze in amazement and absorb its beauty. Just like what we did in Tubbataha. But it wasn’t like that, I need to fin more to accompany and synchronize its moves, so as not to lose the butanding quickly. The momentum evokes energy and strength for the rigors in swimming with the gentle giants. It was worth it, it was really worth it! It was in March 1998 that Donsol became world-class tourist destination and now known as the “Whale Shark Capital of the World”. Interaction with the whale sharks is regulated by the local Department of Tourism (DOT) office. WWF guidelines are generally observed to protect the sharks. Rules include limiting the number of swimmers per boat to six, no scuba divers and staying further than three meters from the sharks. Swimming with whale sharks, locally known as “Butanding”, was featured as the Best Animal Encounter in Asia by Time Magazine in 2004. Whale sharks can be seen between November and June, with presence peaking between February and May. NB. Sorry my uw cam was totally useless, swimming too fast I can’t get a chance for a snap! The above whale sharks were sighted in Talisayan, Misamis Oriental during our dive lessons in May 2007, courtesy of MADRI. My quests in the blue world were not without challenges, some phenomenal but mostly intriguing. Summing it up I enjoyed every bit of these experiences, always coming home with renewed spirit and increasing admiration and love for the depths. It meant traveling far, passing a night at the airport, spending fortune, neglecting comforts, entrusting my life to strangers and extending limits of my self-imposed modesty. Sometimes it was surprising I have gone that far. The scale of challenges is increasing. Yes, I have gone that far. My search around the country is still on-going and few of them stand out for their mystic and charm, like sucking senses and left a diver fazed in wonder. Here are few sites that captured my heart and curiosity, it felt like I can’t get enough from my descent on its depths. 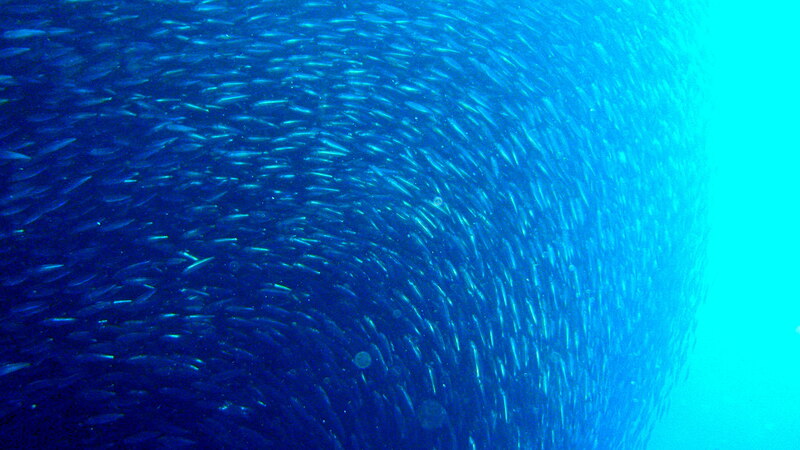 This lowly island held surprising secrets, the phenomenal sardine’s run will stir your curiosity how these millions of small fish come together and synchronize for a tornado. It is so tempting to come and be amongst in their assembly and get lost in their midst! Swept off by the current! Dropping at Escarceo Point, drifting fast with the currents passing field of colorful acropora corals, and race over several drop-offs to reach the Hole in the Wall. Steadying for the entrance, I was completely surprised as I was sucked in the hole in a split second! There, the Canyons teeming with marine life. There is that rush what’s beyond! All the World War II wrecks concentrated in Coron Bay gave me that rush for the penetration but Akitsushima is different. She is simply beautiful, one of the few true warships among the wrecks. We penetrated chambers, crevices, holes and square openings. Mysterious and truly engaging, the dark and its secrets and historic value held so much attraction to me. Its externals is teeming with fish life, remnants like broken crane, canon ball hole, artillery and funnel. It is an advance dive due to depth and currents. Watching a flock of quirky thresher sharks swimming before me on early morning was one of my unforgettable underwater experience, I almost cried in amazement! I can sit at the viewing edge and watch them until they are gone. Threshers are deep inhabitants but a herd always gathers every morning at the shoal to be cleaned from parasites and algae on their bodies by wrasses, more of a symbiotic relationship as these wrasses were fed from the sharks. Monad offer guaranteed sightings everyday on early mornings! The shoal is about 22 meters depth from the surface but this underwater hill can never be outdone in terms of diversity in marine life. 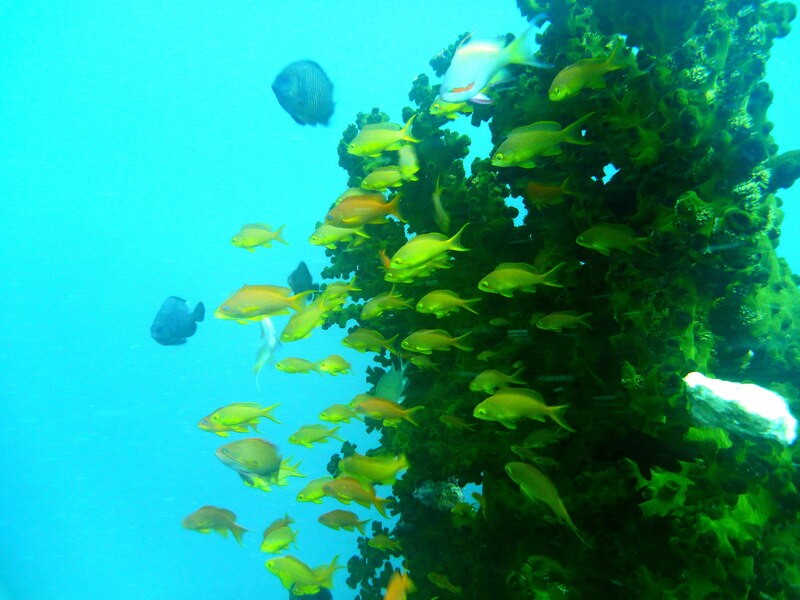 The swarm of damsels, red snappers, angels, sergeants, wrasses amidst hard corals and tangling soft corals, it is always as colorful as it was. Moray eel, stone fish, leaf fish, lion fish, nudis, sea stars are just few that inhabit the small hill. It is always tempting to go deeper to explore what’s beyond. 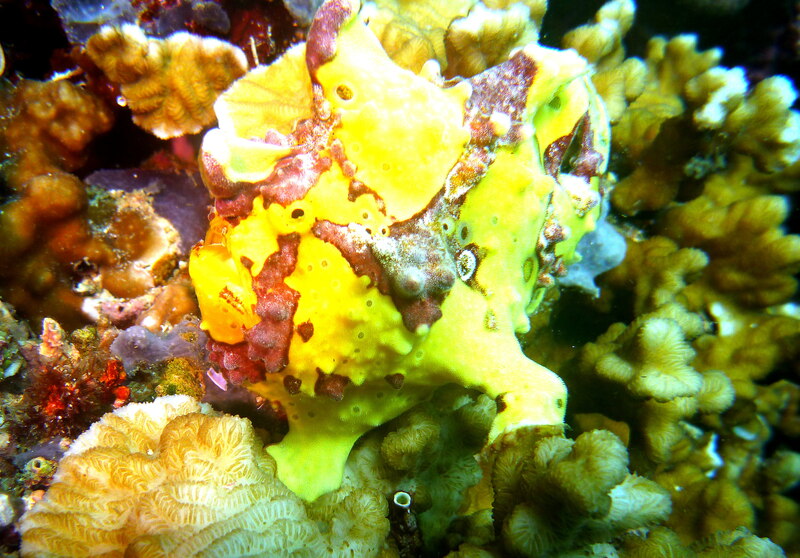 This may not be in the diving map but its richness can be at par with exotic dive destinations. Have you tried diving from any of these sites? I’m still in search for sites and I know I will never exhaust them in my lifetime. There is yet a lot of secrets to unravel right here in my home country. 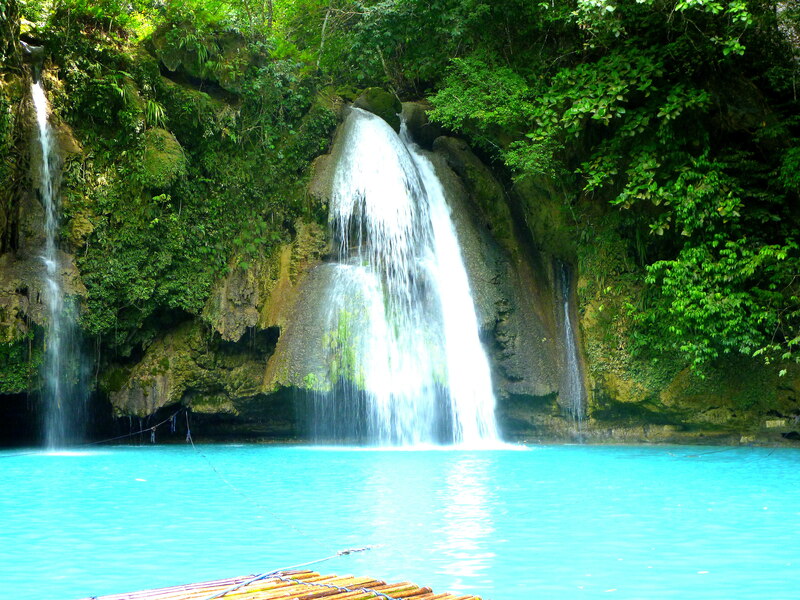 Enchanted River in Hinatuan, Surigao Sur is one wonder of nature that have captivated my curiosity. Beautiful and mysterious – there is something beyond that blue waters. The increasing “load” of the river due to influx of tourists and visitors have endangered its delicate state. I hope that the Local Government Unit (LGU) of Hinatuan will seriously consider the recommendations from this report. This gift of nature will surely become “a victim of its own success” if no concrete sustainability plan is in place. Kudos to Filipino Cave Divers!